A spoken word is better than those, which are kept within the heart. Unspoken words keep struggling; they create negative images in the minds of people who want to hear them and who keep suppressing them. The words we can’t say, observes John Geddes “are the holes I punch in the walls of my psyche…” They keep growing deeper and wider with time. The unspoken words keep falling into those holes and it becomes hard to retreat them. Unspoken words hurt. They hurt not only you, as they are emotionally strenuous but they are painful for those too who expect them to be shared. The silence keeps growing with each passing day till it becomes a habit. You keep burying all your secrets, all the plans, even those well-intentioned ideas within your mind and when they tumble out, they provoke an untold psychological trauma for your own loved ones. They wonder what is their role in failing to get closer to you; they start doubting their own love and misunderstandings start budding. They can never get sorted out if words remain unspoken. Unspoken words carry emotional baggage. When feelings and emotions are not shared, they create an unknown wedge between relationships. They breed anger and angst and there is no limit to these negative emotions. Non-communication can lead to serious rifts and it is one of the major reasons of drifting apart. Emotions need an outlet, a channel that makes them flow spontaneously. Emotional outbursts are better than carrying an emotional baggage. Repressed emotions are like a volcano and unspoken words become a lid for them. I am sure you can understand what happens when a volcano bursts! Unspoken words create negative energy, which keeps on multiplying as people wait for the right time to share their feelings. Such a time never comes, as the right time is that moment when you feel like saying something. Once you suppress those words, you become adept at doing so each time. Negative thoughts often change our personality as we become skeptical. Even the right-minded people, the well-wishers seem threatening and we want to shove them out of our lives. Unspoken words conceal your real personality. How do people know about you? It is only through our words that we share about various topics and issues that others form and opinion about us. Even introverts interact with words, which may be too less! Unspoken words make us seem hypocritical. Others get an opportunity to judge our personality according to their own perspective. If we don’t make an effort to be friendly or nice, people draw their own conclusions about us, which may not be always accurate. You can understand very well that it is all about the molding of personality, which is influenced by various factors. 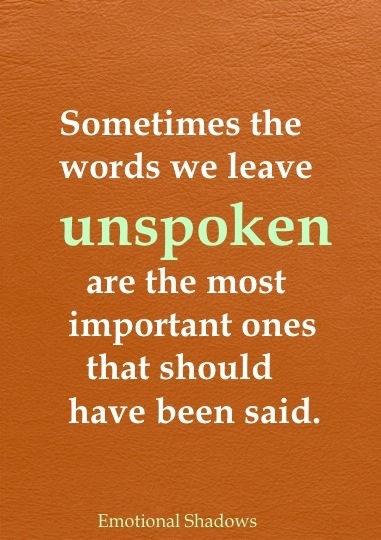 Whatever the reason may be, unspoken words affect us eventually. They lead us to breaking down of ties; leave us rudderless in the sea of relationships. Do you hold your words? Is there any other reason for that? I would love to hear your views. Interesting, Balroop. Although I agree, I find that people are often just not ready to listen to what we have to say. The truth is hard, at times. Yes Corrinne, you are right. 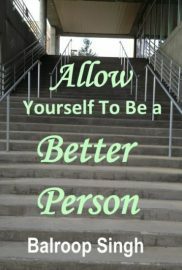 We must lighten our own emotional baggage, keep our conscience clear to escape unnecessary stress…that is my belief. I agree with what you are saying here Balroop, yet think there are also many situations in life when our own outward expression of emotion would be pernicious and inflict harm upon others. As ever, one needs to apply intelligence and gauge social situations carefully, with empathy and sensitivity; we cannot go through life considering only the outward expression of our own thoughts and feelings, I am sure you would agree. All best wishes, Hariod. Thanks for agreeing with the basics, rest depends on what kind of persons we are dealing with and how important it is to communicate. There may be such people around us who don’t have any respect for the words we want to share. In such a situation, it is prudent to avoid any discourse. I have seen such people who keep on harping on their own opinion, without giving any opportunity to the other person…it would be beyond our dignity to even try to say anything! Emotional relationships do demand words, even when the situation is detrimental and I believe in sharing all the thoughts and feelings. Do you think honest relationships can thrive without words? Don’t they become superficial? Thank you for your insights. Wishing you a blessed week, dear friend. Social engagements seem to be least important when we come across people we intuitively dislike and therefore we can just look the other way, without actually displaying much rudeness. The real harm occurs when a sibling looks the other way or an offspring behaves coldly. Such emotional hurts are hard to swallow. Yes, ‘one size can never fit all’, so true! Thanks for engaging in such a profound conversation, much appreciated. Ahhh, words. They can do harm AND they can heal. Excellent points here, Balroop. I agree that if we suppress our words, then we suffer and so do the people we love. If we keep our words on purpose to hurt someone that’s called the “silent treatment”—not nice. One thing I disagree with is when you say holding our words in make us ‘hypocritical’. A hypocrite is someone who judges others for their behavior, yet exhibits that exact behavior himself. So, they criticize others openly. If someone isn’t speaking their words they can’t really be called a hypocrite. Maybe I missed something in that point. Just a thought. I agree with you whole heartedly…suppression and suffering go hand in hand. I detest silent treatment, if people think we are fools then they too live in a fool’s paradise! Silence speaks volumes and is more detrimental than words because we don’t imagine what is there in the mind of the silent person, we are free to make a monster out of him, which may not be true. Hypocrites don’t always speak, they too can choose to be silent. All depends and varies according to a person’s personality. Hypocrisy is pretended behavior and pretence is of many kinds! Thank you Diana for such a meaningful and balanced view. Yes, speaking from our hearts can heal many. Words of empathy and concern can go a long way in establishing beautiful relationships. If we really want to hold our tongues we must do so where we intentionally spread hatred and polarisation. But all that practice begins at home. A thought provoking article. 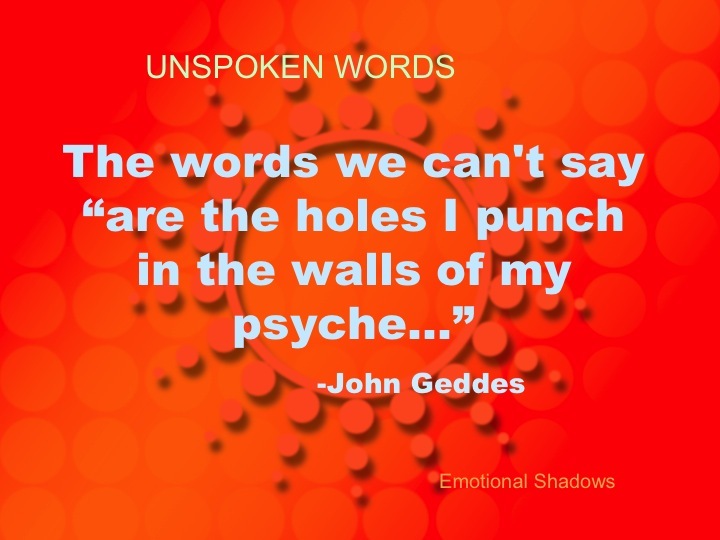 I find truth in this meaningful quote by Geddes What is left unsaid, stays on inside and makes holes in our psyche. This is applicable to words that must be said within relationships. Moreover, there is a time frame for it. Sometimes the right time is gone and the unsaid words stay on in a heart forever. Some people just cannot say it out easily. They learn to hide things early on, probably due to the environment they grew up in, as you said they have been ‘snubbed’ so often. They grow a hard shell around them and no amount of coaxing from others will drive out their inner truths, rather it gets very tiring for others. When writing my article on suicide I was talking about this kind of secretive personality in youth. Emotional outbursts are better than emotional baggage. I agree to this statement. Actually it depends on the situation. Sometimes, when we are instigated by somebody’s harsh words, we just have to stay quiet so as to avoid any drama. This is good only if we do not take things to heart; if we can easily forgive and forget. Otherwise it’s better to say it out. With all said out in open, you’ll either walk out of friendship/relationship or else this will make the other person realize your worth. Better for overall physical as well as emotional health. I just had a rant. Hope it made some sense. Thanks for your kind words, I am so glad that you have analysed my words so well. Yes, the time frame is very important. Any words, which could have been relevant at the right time become meaningless when the issue gets lost in the tide of time. You are right, some people are trained to keep quiet but that makes them stifle their own spirit. Either they become very bitter at heart or work silently, behind our backs and often use others as a mouthpiece to convey what they keep within. Such persons are not very pleasant and trustworthy. Their silent weapon is provocation and they are quite adept at it. Such an interesting topic again, Balroop. I have to agree with you. The more we keep our feelings and thoughts bottled up, the less we engage fully with others. By keeping quiet, at times that can lead to others walking all over us and thinking we have “no opinion” when in actual fact we have. Then again, as you said, maybe we don’t say much because what we have to say might offend or we might have been thought from young to keep to ourselves and not “show off” noisily with our mouths. In general, I like to hold my words first and let others speak. If I have an opinion that differs greatly from theirs, I’d then go about saying it slowly and bit by bit. And I’d be careful not to use emotional words and words such as “You” and “I don’t agree” and talk in general terms so as to not upset the other person. Your words are so true, I have seen people being treated like that, branding non-communicative persons as weak and dull, incapable of holding a meaningful opinion. Much depends on the upbringing also. If a parent happens to be dominating and is always snubbing the child, it affects him/her in a negative manner. Such a child hesitates to share the feelings, out of fear and that could develop into a pattern of behavior. I appreciate your mature way of interaction and keeping emotions down. That is the sign of an emotionally balanced person. You must be having very healthy relationship with your siblings, cousins and friends. Stay blessed and have a nice week. Thanks for sharing your perspective. Thanks for your kind words and sharing your own experience with the unspoken words. While it is good to choose words carefully in business, it may not be necessary in personal life. Modern guys have proved that they too have the same emotional sensitivities, which have been snubbed for times immemorial to raise them differently and emphasise their toughness. I am glad to note that modern guys are coming out of those pre-conceived notions of speaking less and establish their supremacy! They speak out their heart and express themselves freely. Good for them and for their personalities. let me add one more point here….people hold back because they know that the reaction will be driven by pre conceived notions and attitudes! Words…can make or break any relationship, and thus, they must be spoken with utmost care! As Lisa also mentioned, if we suppress our words, we suffer and we aren’t able to convey what we wish to clearly, which brings gaps in relationships. On the other hand if we use words that hurt on purpose, we break the connection further – and the unexpressed words, or silent treatment we give or receive at times, are the biggest killers! I just wish that people would be caring and loving where their feelings, actions, and words are concerned, would make the world such a worthwhile place, isn’t it? You are so right, relationships are moored on the platform of words…how well we choose them depends on our wisdom and interaction. Nobody wants to hurt intentionally, it just happens sometimes. For me words constitute emotional relief, they are stress busters and I have always believed in giving vent to my stress, returning it back immediately and keeping my heart free and open. Thanks for your comment, I appreciate it immensely. Stay blessed and you too have a nice week. Another very interesting subject Balroop. I believe that words have power. They can you do good or harm you. But silence can harm you even more. I try as much as I can to say these words, even the ones that are tough or hard to tell. I know unspoken words can destroy too many things in us. Thank you for raising your voice on this. It’s helpful. 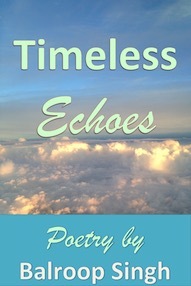 Yes, the power of words is unfathomable…both to heal and hurt. We just have to understand how to use them at the right time and in right amount. Experiences of life make us learn in a subtle manner and we realise how harmful silence can be. I have suffered due to too many words but I have always shunned silence, which is the weapon of the clever and the designing people! A very well written post Balroop. Again I find myself agreeing with all the points that you have mentioned. Would like to add that speaking out and sharing views is certainly a better option than carrying emotional baggage provided the recipient is receptive to it. Thanks Somali, I am glad you liked my thoughts about unspoken words…coming from such a balanced and mature young person reassures me that we need to offload that emotional baggage, which keeps us sane. I appreciate your standing by and adding your view to this discussion. My pleasure Balroop. I find that your approach is very balanced too, which reflects in all your writings. Perhaps that is the reason why your posts have such a calming effect on the mind. Topical discussion here, balroop, on which I agree, and respectfully disagree, as, depending on the context and situation, we may either have to be open and upfront with our responses or be guarded and reticent. And that applies, regardless of whether we are dealing with distant or close relationships. There is no harm in reserving our comments in any situation. What is really required is to maintain a level of detachment to avoid carrying the emotional baggage that goes with it. Discretion is the better part of valour, and, while speech is silver, silence is golden…best wishes. Thanks for adding your valuable insight to the discussion. I agree with you that ‘context and situation’ do play a significant part in any unsaid words but valour lies in confronting the situation and speaking to convey the discontent or pleasure. Regarding silence being golden, I have already expressed my opinion [in one of my answers] about this saying and would request you to read that. I appreciate your advice regarding detachment, which involves a host of emotions. Stay blessed! Truth is bitter, nobody likes to swallow it and so the speaker tries to hold it for various reasons. Sure, I am looking forward to your post. Thanks dear friend, I am glad you like this post and have similar feelings about words which is withheld. Love your support. Stay blessed and have anise week. I agree about Non communication causing rifts.. My own mother wouldn’t speak to me for over 10 yrs, despite me trying.. She died without the rift being mended.. I am sorry for the kind of non-communication you have suffered from, Sue. It is so surprising that this could come from a mother! A mother’s love, which is said to be unconditional despite all the differences, it is always the mother who stands by and embraces all the mistakes made by her children. Thank you dear friend for sharing such a big hurt, I hope you are feeling better and have put your past behind. Stay blessed. Yes it took some time Balroop, and I will be honest it was a contributing factor to a nervous breakdown.. I realised after several failed attempts to breach the rift that I was only opening up the wound even more.. SO I grieved my loss, and had to let her go.. But If I tell you I was the eldest of 5 siblings and My Aunts always called me Little Mother, I never really felt the love a Mother should give, she was very aloof. Even one of my sisters still says I was the Mother she never had.. I forgave long ago within myself.. I guess I still feel a sense of loss, and sadness that she wasted so many years in which she could have enjoyed her grandchildren more.. But she was a stubborn woman who felt she always had to be right.. I remember having counselling and a wise lady told me. I had come to help her progress, the fact she made her choice not too, I should not carry the guilt for.